All the solid wood pieces needed to build a complete town. 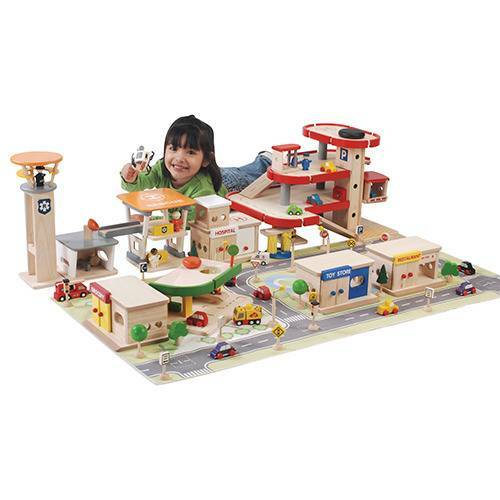 Rescue center with helicopter, fire truck andd ambulance, service station with van & tow truck, garage with turn-screw elevator lift and 2 ramps, 2 fuel pumps and booth attendant, hospital, toy store, grocery store, restaurant, 10 pc. car set, traffic signs, trees and street lights all on 54" L. x 23" W. playmat.